This week, PC World Editors Robert Strohmeyer, Tim Moynihan and Mark Sullivan bring you the 22nd episode of the PC World Podcast. This edition is a lively discussion about the aftermath of Facebook’s most recent facelift, Google's new semantic search, and the new Webbie HD camera. Facebook recently completely redesigned their Web site, giving it a noticeably Twitter-esque vibe. The changes were so drastic that users complained, and Facebook decided to make some alterations on the new design--but will they really benefit the user? The group weighs in. It may not seem revolutionary now, but Google will soon be redefining the way we search for information online with the use of semantic search technology. After the drastic introduction of Facebook's changes, will the switch to Google semantic search will be more subtle and gradual? Tim Moynihan gives us an early look at the new Webbie HD, the latest version of a reasonably priced camcorder created for the You Tube generation. It’s small and attractive--but is it going to suit anyone beyond the target market of teenagers? Finally, our editors debate this week's Big Question: Has Twitter jumped the shark? 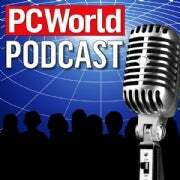 Listen in on iTunes or via the PC World Podcast RSS feed .